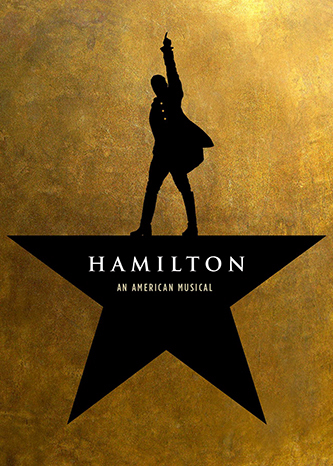 Cameron Mackintosh and Jeffrey Seller are thrilled and delighted to announce the initial casting for their West End production of HAMILTON. Christine Allado (Peggy Schuyler/Maria Reynolds),Rachelle Ann Go (Eliza Hamilton), Tarinn Callender (Hercules Mulligan/James Madison), Rachel John (Angelica Schuyler), Jason Pennycooke (Marquis de Lafayette/Thomas Jefferson), Cleve September (John Laurens/Philip Hamilton), Giles Terera (Aaron Burr) and Obioma Ugoala(George Washington) will open the London production later this year, with further casting to be announced at a later date. Christine Allado (Peggy Schuyler/Maria Reynolds) played Vanessa in In The Heights at the King’s Cross Theatre, understudied the role of Imelda in Here Lies Love at the National Theatre and was a Guest Artist for Andrea Bocelli's Cinema World Tour. Rachelle Ann Go (Eliza Hamilton) previously played Gigi in Cameron Mackintosh’s 2014 West End production of Miss Saigon a role she will reprise on Broadway this March. She most recently played Fantine in Les Misérables both in Manila where the new Asian tour opened, and then in the West End. Her other roles include Ariel in The Little Mermaid and Jane Porter in Tarzan, both also in her native country, the Philippines, where she is a major recording artist. Tarinn Callender (Hercules Mulligan/James Madison) will graduate from ArtsEd in summer 2017. Hamilton will mark his professional and West End stage debut. Rachel John’s (Angelica Schuyler) West End credits include Nicki Marron in the recent run of The Bodyguard, Felicia in Memphis and Meat in We Will Rock You. Jason Pennycooke (Marquis de Lafayette/Thomas Jefferson) was Olivier Nominated for the roles of Bobby Dupree in Memphis and Jacob in La Cage Aux Folles. His other West End credits include Paul in Kiss Me, Kate at the Old Vic and Sammy Davis Junior in The Rat Pack at the Savoy Theatre. As part of Edinburgh’s Christmas 2016 programme Pennycooke choreographed Five Guys Named Moefor Underbelly Productions in association with Cameron Mackintosh. Cleve September (John Laurens/Philip Hamilton) played Sonny in In the Heights at the King’s Cross Theatre and Tommy Keeler in Annie Get Your Gun at the Crucible Theatre in Sheffield. Giles Terera’s (Aaron Burr) previous West End credits include Gary Coleman in Avenue Q, Mafala Hatimbi in The Book of Mormon and Caliban in The Tempest. For the National Theatre he played Slow Drag in Ma Rainey's Black Bottom and Horatio in Hamlet and for the Globe he played Morocco in The Merchant of Venice. Obioma Ugoala (George Washington) is currently playing Smokey Robinson in Motown the Musicalin the West End. His other theatre credits include Richard II, Henry IV part I & II, Henry V and The Merry Wives of Windsor for the Royal Shakespeare Company, Holy Warriors and Antony and Cleopatra for Shakespeare’s Globe and The Physicists for the Donmar Warehouse.